If you’re interested in becoming a licensed accountant, expect a lot of hard work. 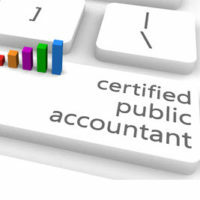 In Florida, the requirements for a certified public accountant (CPA) license involve a combination of education, experience and exams. Because you need a college degree, expect the process to take five years or longer. Once you receive your CPA license, you may breathe a sigh of relief after working so hard. However, your work isn’t done just yet. Maintaining your CPA license is a job in itself. Because CPAs work with numbers—specifically finances—the conduct of CPAs is regularly reviewed. Both your private and professional life will be scrutinized, so you need to know what actions will put your license at risk. You’ve worked hard to earn your CPA license. Don’t lose it over an ethical issue. Read on to see what types of issues you need to avoid in order to keep your license. Each country has their own set of standards when it comes to accounting. Accountants prepare financial statements based on the cash method of accounting or an accrual basis. They must abide by strict practices, since even a minor error—such as transposing numbers—can affect a company’s bottom line. Deviating from any of the practices put in place can lead to an ethics violation—even criminal charges. While many CPAs have their own firms, many work for the federal government. If a CPA commits an ethics violation, federal law gives these agencies the right to discipline CPAs as appropriate. If a CPA is a member of a state or national CPA organization, the organization has the right to investigate any allegations of misconduct. While the organization cannot take away the person’s license, it can take away the person’s membership. In the field of accounting, it’s easy for a CPA to commit an ethics violation. Accountants must operate with integrity, trust and professionalism. Even an unintentional error can cause emotional or financial harm to a client. 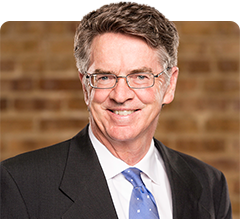 If you are a CPA accused of an ethical issue, your license could be threatened. Your license is your livelihood, so don’t throw it away needlessly. Get legal representation from the Law Offices of David P. Rankin, P.A. I am a Tampa administrative lawyer who focuses on licensing issues for certified public accountants and other professionals. Contact my office today for a consultation by calling (813) 968-6633.